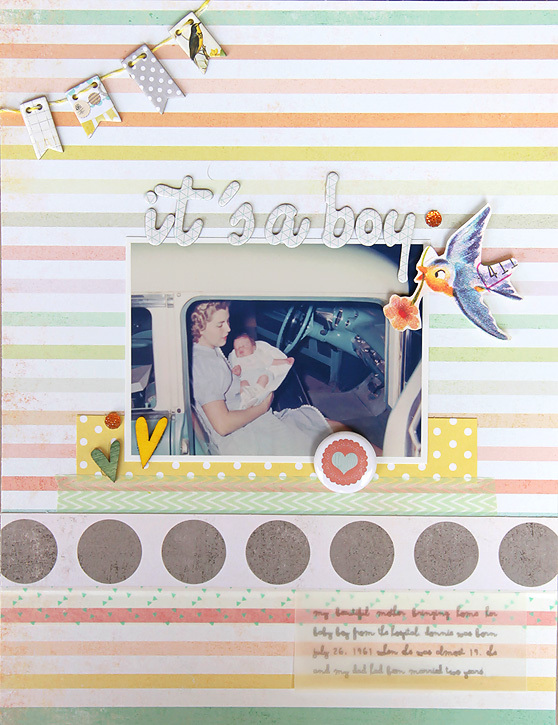 Just catching up on sharing some scrapbook layouts. I had such a wonderful time last weekend at the crop! I met some great new friends who love scrapbooking like me, and I made lots of layouts, but I haven't even photographed any of those yet so here are some from the past couple months. They were all made with various Studio Calico kits (noted below each layout). 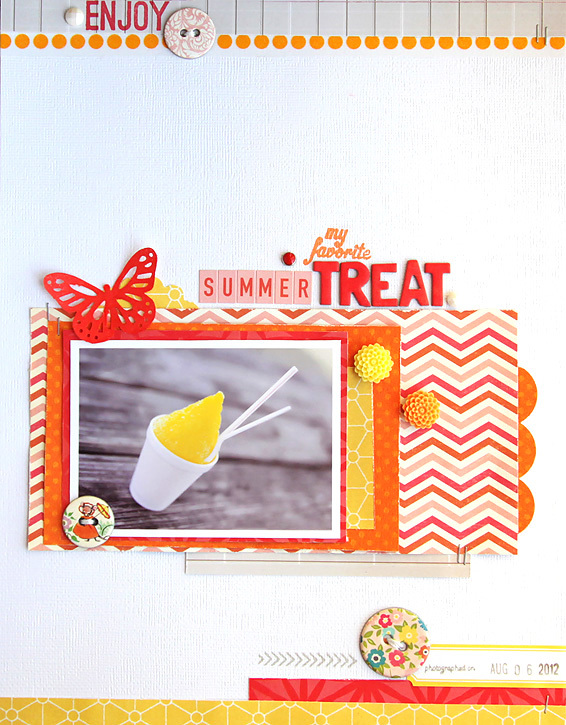 This yellow snowball was perfect for a quick layout with my remaining scraps from the Summer of 69 kit. 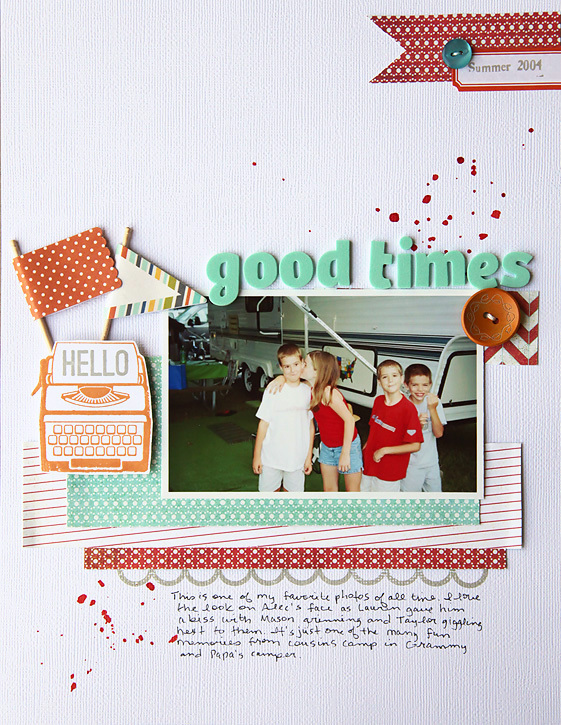 Absolut phantastic layouts! I love they! You have such a good eye!! Love them all (pinned every single one! ), you have a really great style. Love all the colors from previous collections, too. I'm totally enjoying my kits of the month! Fabulous pages. They are gorgeous! 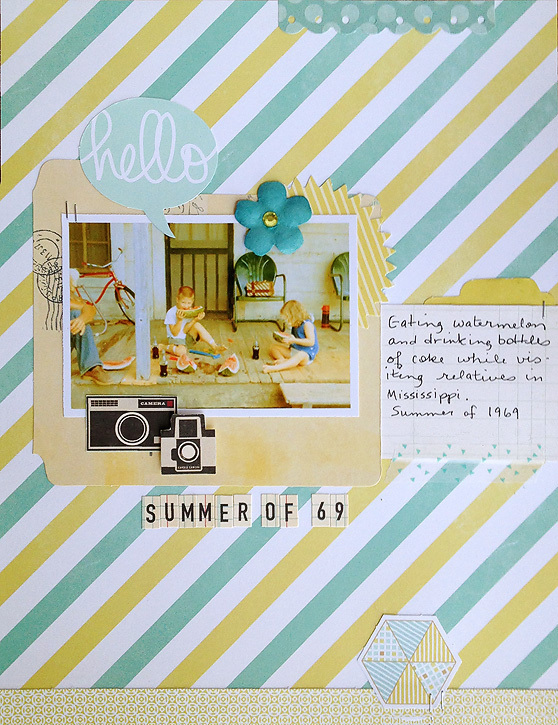 they are absolutely wonderful, now I am so tempted to start scrapbooking! Love your pages! Especially the top two! So great! you are amazing! these are terrific! Hi Deb, I just found your blog and loving what I see here. Your creation as well as photography, I enjoy photography as well, but still very new and inexperience, I wonder if you could share with me how to make those picture appear in large scale on your blog and yet so clear and beautiful! The width of the body of my blog is 725 pixels. I resize my photos in photoshop to be 725 pixels wide if they are horizontal or 725 tall if they are vertical like the layouts in this post. I also size square photos at 725 pixels wide. Then, when I upload them to the post, I choose original size. Hope that helps. If you have other questions, feel free to emal me! Oh, these are all so delightful! 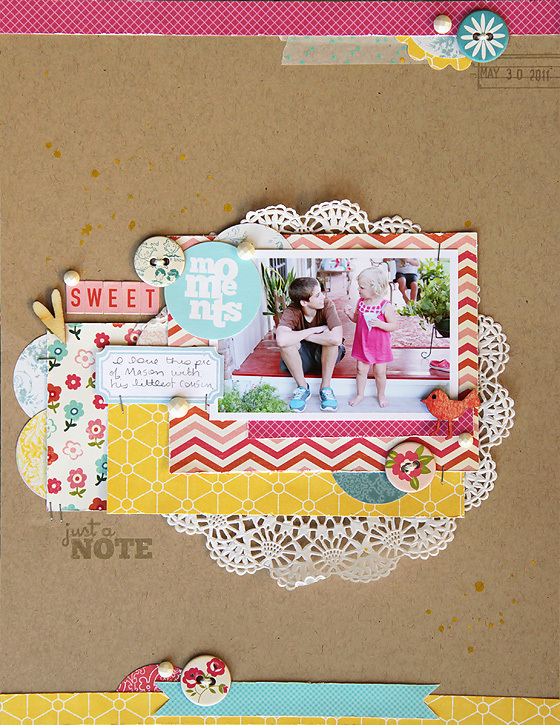 IMO they are the epitome of perfect scrapbooking: a sweet memory and a gorgeous layout... you have inspired me to start scrapbooking! Oh this comment makes me so happy! I have so much fun with this hobby. Let me know if I can help you get started!